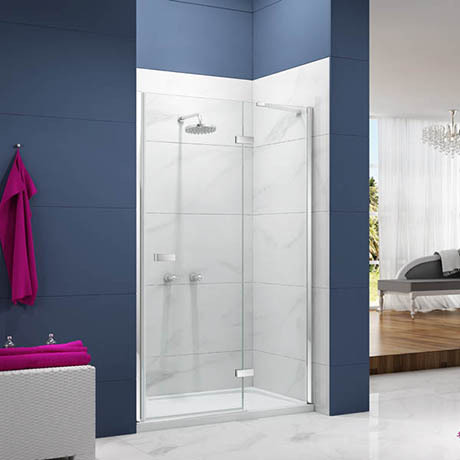 Exuding style and beauty, the Ionic Essence hinge and inline shower door is truly unique in its appearance. The door stands at 2000mm high and is made from 8mm toughened safety glass. Its solid chrome hinges and double handle complement the door and give it a minimalist appeal. The glass is treated with Mershield Stayclear, a special protective coating to ensure the glass maintains its sparkle and keeps it easy to clean. Shower tray and waste not included.